Are you tired of long biographies crammed with dates of no interest, names you’ve never heard before, line-up changes that have made no difference and self-evaluations bordering on megalomania? Well, here is another one. I'll leave away the whole garage-days-period and begin with our first demo to make this biography as short as possible. 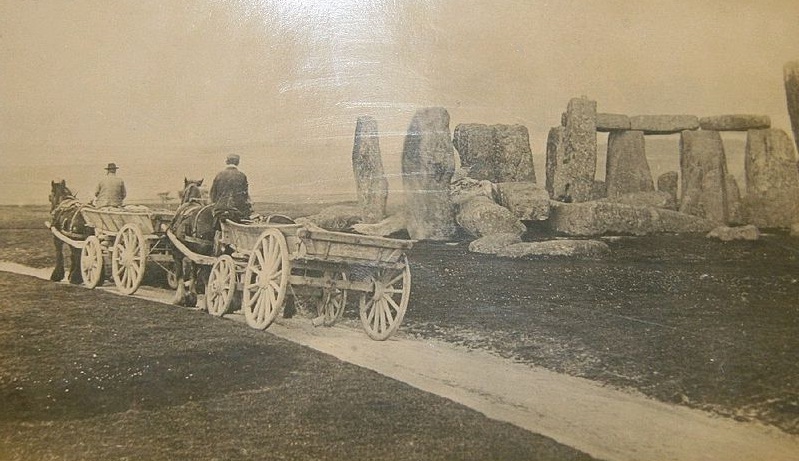 This Demo was released in March 1998 under the bandname »Stonehenge«. It was recorded in a professional recording-studio and titled after Hermann Hesse's famous novel Der Steppenwolf. 5 of the 8 Songs on this demo stand in connection to this novel. We received excellent reviews concerning the guitars and the lyrics, but the vocals were disliked by most critics (today, we dislike them too). One year later (in 1999) our second demo was recorded, but due to unsatisfying vocals we did not release it straight away. 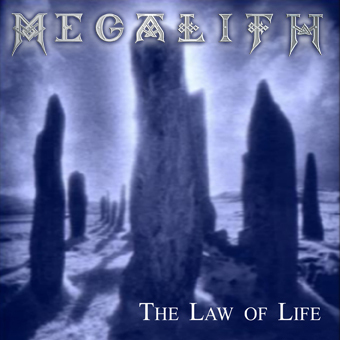 Instead, we searched for a new singer, and in 2001 we found the ideal person and released The Law of Life (titled after a short story by Jack London) under our current bandname MEGALITH. Compared to our first demo, the greatest improvement lay in the vocals, but the compositions, the addition of keyboards and the production reflected our evolution as well. The lyrics were quite different from those of our first demo, and we were eager to see whether they would be valued or criticized due to their controversial contents. Fortunately, the responses again were overwhelmingly positive. It took far too long for our ambitious 70 minutes debut-album Spirit Soldiers to be released. However, the years of preparation were well invested: (1) We integrated keyboards into our sound. (2) We equipped ourselves with new technology for our keys and strings department. (3) We got lucky and met Hades, one of the very few drummers who combine the power and vitality of a human musician with the precision and accuracy of a rhythm machine. (4) We founded a small record-label and organized a German-Austrian distribution and invested a lot of time in promoting this CD in Germany. Being enthusiastic about so many improvements, Hyperion left Agathodaimon, a well-known Nuclear-Blast Gothic-Black-Metal band. Firstly, he wanted to concentrate fully on Megalith, and secondly, some small-minded people saw a conflict between the exceptional image of MEGALITH and the ordinary gothic-image of Agathodaimon. We recorded Spirit Soldiers (German translation: Soldaten des Geistes) with one of Germany’s best known producers in the summer of 2003. It features 11 songs (including an intro) and 5 bonus-tracks. A stylish cover and a booklet with 28-pages, including lyrics, quotes, band-photos and information on our inspirational sources completed this outstanding release. 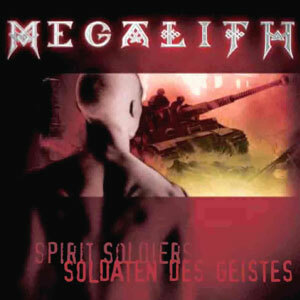 Sales went well and German metal-magazines (amongst them the best-selling magazines of the country: Rock Hard, Metal Hammer, Zillo, and Legacy) praised the lyrics and emphasized the uniqueness, quality and professionalism of our music. 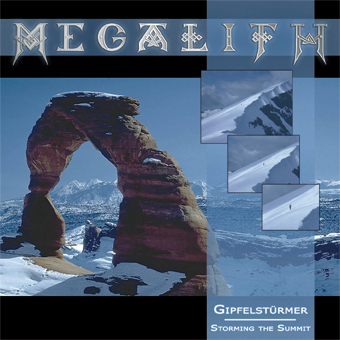 Our new album is titled »Storming the Summit« (German translation: Gipfelstürmer). The 14 new songs are more powerful, much wilder, and clearer structured than anything we recorded previously. Again, we have completely exchanged our technical equipment (especially the keyboards have changed from synthetic to orchestral sounds). The diversity throughout the album has greatly increased, and the sound blows away everything while staying crystal clear at all times! With Storming the Summit, we have further establish ourselves as one of the best and most original metal bands in Germany. And if we should find the right partners, we’ll conquer the rest of the world in addition (did I write anything about megalomania in the prologue? ).